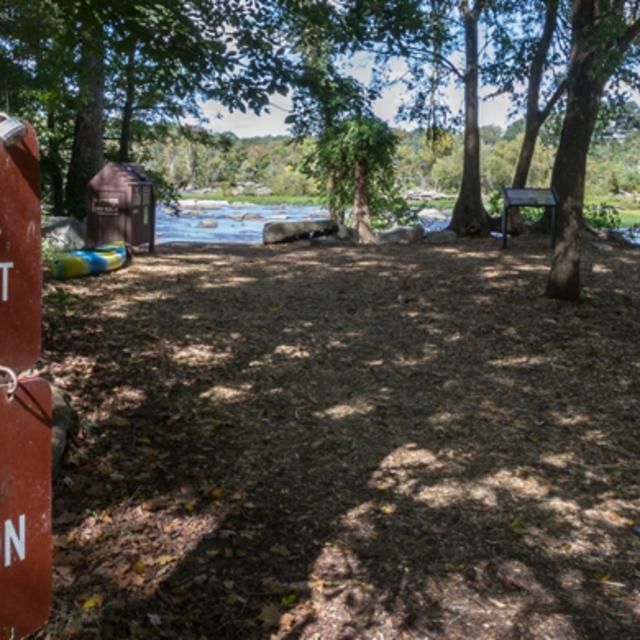 Pony Pasture Rapids Park has become an urban paradise for many — a cheap way to make the best of one’s day for those that can’t afford a trip to the beach or don’t have the time to leave the city for a vacation. Pony Pasture is one of the most popular spots in the James River Park System. Most people swim and play in the rapids or bask in the sun on the many granite boulders in the river next to the scenic park, but there is so much more to do in this outdoor gem. The scenery alone is a big draw for visitors, with huge boulders with plenty of unique potholes and nooks shaped by years of erosion from the rapids. Children can explore, swim and play for hours in the shallow waters along the shoreline. It is recommended that they wear footwear and a life jacket. When the water levels are under five feet, there are many places to slide and play in the rapids. When the park is crowded in the hot summer months, watch for other swimmers and water craft (canoes and kayaks). Playing hookey, photography, painting, people-watching, having an adventure or just getting out to nature are all good excuses to go to Pony Pasture. Many people walk, run or bike along the shoulder of Riverside Drive, which is designated as a Scenic Virginia Byway. Drive slowly along this road as a courtesy to those not traveling by car — you’ll be happy to take your time and check out the scenery. In the spring, watch nature wake from its winter slumber. In the summer months, snorkel, watch the wind blow the grass and trees and people-watch. In the fall, watch the many types of hardwood trees in the area turn colors before they drop their leaves. In winter, watch the true park-lovers retake their scenic, treasured park. 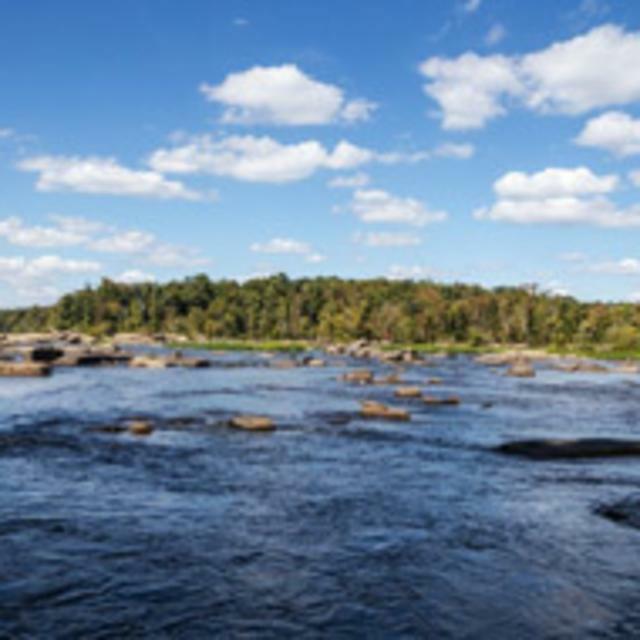 The rapids at Pony Pasture are considered Class II, and the park has a busy takeout. Many kayak, canoe, raft and inner tube trips are launched from this park. The access was built by park volunteers and funded by aluminum recycling in the park system. Most paddle trips launched from this point are headed to Reedy Creek or the big rapids of Hollywood (at Belle Isle) and Pipeline Rapids in downtown Richmond. There is more than a mile of trails in the park, many of which offer views of the river, inland meadows and a wide-variety of trees. The main trails are gravel and are good for biking. The park also connects to The Wetlands park, located just to the east of Pony Pasture and a good place to spend time in nature as well. 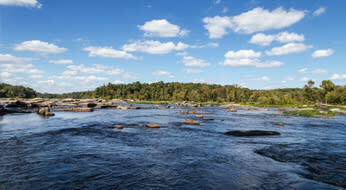 The uninhabited 100-acre Williams Island is across the river from Pony Pasture and can be reached by paddling, swimming or rock-hopping. It is not officially part of the JRPS, but is city property and people are allowed on the island. The gravel and asphalt parking lot — which is the largest in the park system – has 80 parking spaces but can be expanded with creative management to 110 spaces. In the peak hours of the weekends in the summer, it can be a difficult place to find a parking spot. Be prepared to wait in line or find an alternative method to travel to the park (bike, walk, carpool, be dropped off).